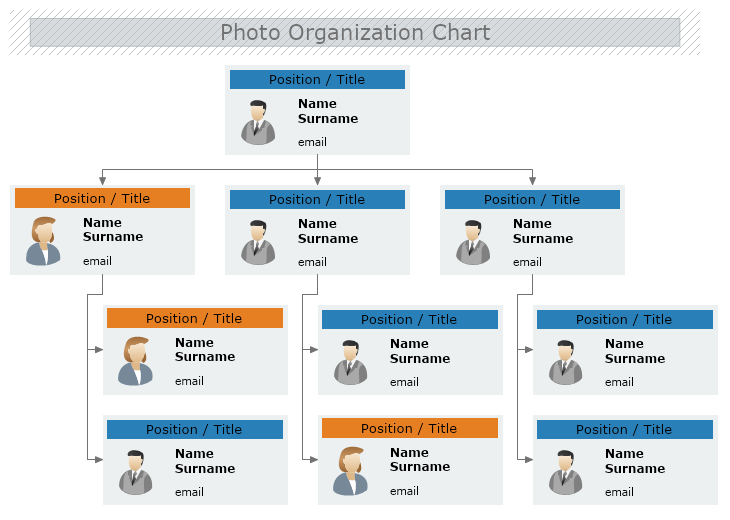 This template demonstrates a classical look of a basic tree organizational structure, presented with the employee’s photo, position / title, full name, and contact information. This example is suitable for any kind of organization with a hierarchical structure. Download this free template and easily modify it in MyDraw so it meets your needs and requirements.